This Osprey is obviously a seasoned professional, emerging with a huge fish! 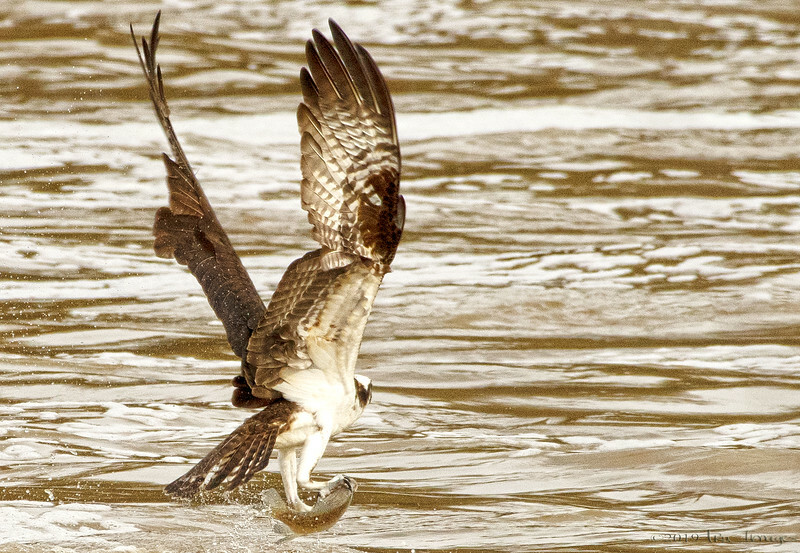 Excellent capture of this Osprey catching this fish. Wow! That's quite a catch for both you and the Osprey. Love this! Mission accomplished - for you and the Osprey!